From light users to all-night gamers, Frontier has something for pretty much everyone and there’s a package to suit a wide range of preferences. The fastest speeds can be found in built-up areas, but Frontier has made great inroads to provide Internet services for isolated communities and with the ability to have broadband without a contract or cap, it makes Frontier a favorite choice compared to other competitors. 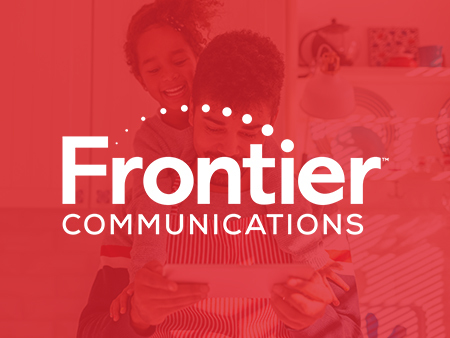 Depending on where you live, Frontier can deliver DSL, cable, and fiber optic internet, although they don’t currently offer satellite services. Cable and fiber optic tend to be available primarily in cities and towns, while DSL coverage is far more widespread, as it runs along the phone lines. With a variety of packages, that can accommodate all types of data usage and the ability for some areas to get up to 1Gbps, Frontier is a solid choice for the most data-intensive tasks. If you’re a casual internet user, with one to three devices, Frontier’s Simply High-Speed Internet packages are reasonably-priced at just $25 per month. You’ll be able to enjoy download speeds of up to 15 Mbps, though for people living in a 0.5Mbps maximum speed area, streaming and online gaming can be almost impossible. In circumstances where DSL and broadband are patchy, satellite services from another provider might be a better option. For homes with three or more occupants, the FiOs range of packages are more suitable. Fiber-optic services offer a jump in speed, from a minimum of 50 Mbps up to 500 Mbps and beyond. The least expensive option, FiOs 50/50, offers speeds of 50Mbps to unlimited devices for just $30 per month. This is ideal for families and roommates that are moderate internet users. If you have several competing demands on your broadband, such as working from home, streaming, and gaming, one of the higher-capacity FiOs packages are recommended. Also Note that all Frontier packages are offered without a data cap. The majority of Frontier packages are bundled with a free Wi-Fi router, transforming your home into a hotspot for all the family’s devices. This equipment is perfectly suitable for most users, but you’re welcome to use your own router. However, high-intensity users may prefer a wired connection, particularly if they’re at a distance from the main router. You needn’t worry about connecting the right wires into your new modem, as all Frontier packages come with free expert installation. Plus, there’s no need to wait in all day; simply select a date and time for installation that’s convenient for you. Frontier does not bundle a security platform with their internet packages, but they do have a subscription service called Frontier Multi-Device Security, which is available for $5.99 per month. Features include parental controls, boosted protection when banking and shopping online, password storage, and automatic blocking of harmful sites. Several of the features contained within Frontier’s platform are already available within most operating systems, but it’s still a good idea to reinforce your security features, if not for your peace of mind. Frontier openly admits that there’s plenty of broadband to go around, and that current demand simply doesn’t outstrip supply. Of course, consumers already suspected this, but it’s refreshing for a supplier to be so honest! One of the key benefits of having a Frontier internet plan, therefore, is that there are no data caps. If you’ve ever been stung by an extortionate fee for veering over a strict usage limit from another provider, it’s something you’ll be particularly keen to avoid in the future. Internet service providers tend to offer amazing introductory deals that escalate into a hefty monthly burden once the offer period expires. Frontier has eliminated this by offering a 2-year price lock on their FiOS packages. This allows you to plan ahead, without the threat of a sudden increase in your broadband costs. s 50/50, your home can net a speed gain of up to 49.5 Mbps. And it’s not just numbers; you’ll be amazed at the difference, particularly if you want to stream a movie or play a few rounds of Fortnite! The FiOS 500/500 package delivers 500 Mbps, but in some locations, you’ll be able to enjoy boosted speeds beyond 1 Gbps. This is ideal if you’re a heavy-duty internet user and need reliable connection, due to gaming, music and video streaming, or work. For people living in rural or remote areas, internet coverage can be notoriously patchy. Expensive and precarious satellite services are sometimes the only option, which can leave swaths of people disconnected from modern conveniences such as online shopping, banking, and entertainment. Frontier is living up to their name by actively expanding their services into new territory. Their services are more widespread in rural and remote communities than other broadband providers, and they continue to upgrade infrastructure in otherwise digitally neglected areas. It’s understandable to be reluctant when signing a contract with an internet provider. There are clauses a mile long, which tend to result in price increases that can’t be avoided. And the prospect of being tied-in for years at a time isn’t exactly appealing. Frontier offers most of their internet packages without a contract, including the Simply High-Speed Internet and FiOS plans. This offers full flexibility in case of changes to budget, moving house, or simply finding a better deal elsewhere. If you choose to bundle your internet plan with a TV and phone package, you can take advantage of Frontier’s 12-month Amazon Prime deal. As well as complimentary two-day shopping delivery, Amazon Prime comes with a TV, video, and music streaming service, Kindle lending library, and exclusive discounts. This is a great deal if you shop regularly at Amazon and have the bandwidth to actually use the streaming services! Before committing, check that everything works out cheaper than your current plan, and note that service bundles do come with contracts of a year or more. If you value the flexibility of no-contract internet, this probably isn’t the ideal package. Frontier’s customer support agents are based in the United States, and can be reached by phone, email, live chat, and Twitter (@AskFrontier). Phone support and live chat are recommended for urgent issues, although the response rate on Twitter, which has 24/7 coverage, is also impressive. Telecom companies are notorious for the underwhelming customer service, and while Frontier still has room for improvement, it sits comfortably above its competitors in that regard. Its scores from both the American Customer Satisfaction Index and JD Power are above average, and individual experiences tend to be positive in relation to other internet providers. Frontier bundles their internet packages with a free router and complimentary installation, so there are no gains to be made on the equipment front. That said, there are still savings to be made for savvy customers! Like many internet providers, Frontier offers the opportunity to bundle broadband alongside a phone and/or TV package. For $60 per month, you can bundle internet and phone services, while broadband and TV packages start from $75 per month. Combine the three for $80 if you only need essential TV channels, up to $102 per month for the most comprehensive range of entertainment. All bundles come with unlimited phone calls. Prior to diving into any bundle deal, it’s best to check that you’ll actually be saving money. An offer that might seem unbeatable might turn out to be more expensive than your current combination, particularly if you’re a light telephone user or not too concerned with having every possible TV channel. The beauty of a contract-free internet package is that you can switch your service around without incurring cancellation fees. When initially taking out your plan, you might overestimate the service you actually need. For example, the FiOS 500/500 package might not be completely necessary if you live with three other people who just shop online and enjoy a little streaming. Scaling back your plan until you find the most appropriate fit can save you serious money in the long run. There’s a lot to like about Frontier. Their no-nonsense, cap-free, flexible approach is refreshing, and it’s encouraging to see them make a sincere effort to connect rural and remote communities. There are packages to suit every kind of internet user, and equipment is provided and installed for free. Customers tend to have a positive experience, and it’s easy to see why. Frontier offers a comprehensive service at a reasonable price; a great choice!